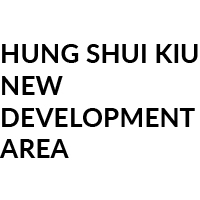 The information contained in this website is provided by the Government of the Hong Kong Special Administrative Region (“the Government”) for general information only. Whilst the Government endeavours to ensure the accuracy of this general information, no statement, representation, warranty or guarantee, express or implied, is given as to its accuracy or appropriateness for use in any particular circumstances. The content available on this website, including but not limited to all text, graphics, videos, drawings, diagrams, photographs and compilation of data or other materials are subject to copyright owned by the Government of the Hong Kong Special Administrative Region or other entities. Except as expressly permitted herein or where prior written authorization is obtained from the Development Bureau and the Civil Engineering and Development Department, any reproduction, adaptation, distribution, dissemination or making available of such copyright works to the public is strictly prohibited.